Trio offers an exotic fusion of precious metal finishes. Rose and yellow gold highlights attune perfectly with sterling silver and diamonds to deliver a truly exquisite suite. 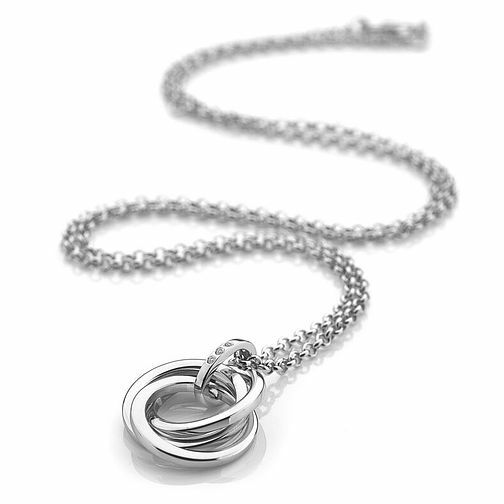 This Trio necklace features a cluster of 925 sterling silver interlocking hoops that are gathered with a silver band, adorned with three one point diamond. Pendant measuring 17mm x 24mm. Hot Diamonds Silver Trio Pendant is rated 4.0 out of 5 by 1.